I noted that there is a crimp reference in a favorite load: "The crimp should be .470-.472." The final act in making a pistol cartridge is crimping the mouth of the case into the bullet to prevent bullet movement. since you referenced .470-.472, I'm assuming .45ACP. generally most use a separate crimping die which tapers the end of the case mouth into the bullet body do that dimension. it's usually measured using dial/digital calipers on the very edge of the case mouth. 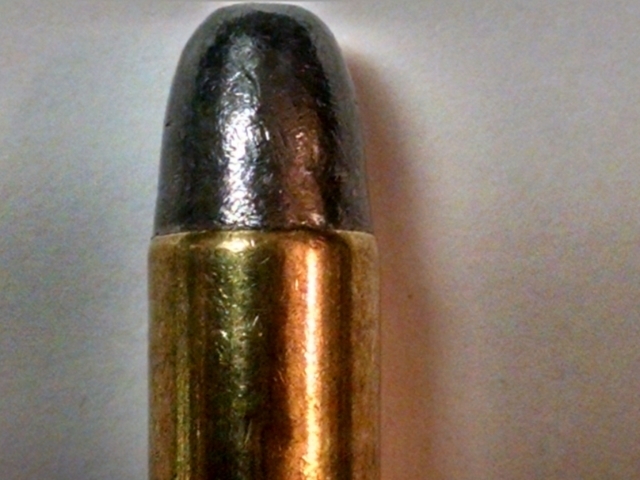 an example of a roll crimp on a .38 special cartridge. Clear explanation and good pic. Thank you. Hopefully I will not add to your confusion. The basic purpose of the the crimp is to keep the bullet from moving in the case during recoil, loading, and handling. There is a roll crimp that is used typically on pistol ammo that is used in revolvers and tubular magazine rifles. It is made with a special crimping die that rolls the open end of the case into a groove in the bullet that is put there for that purpose. this is the crimp that you will typically see on 38 special and the cowboy calibers that are used in both revolvers and tubular magazine repeating rifles. This crimp is not measured and I am not sure could be accurately measured due to the way it is rolled into a groove in the bullet. Jacketed bullets that are roll crimped will have a groove that is knurled into the bullet. 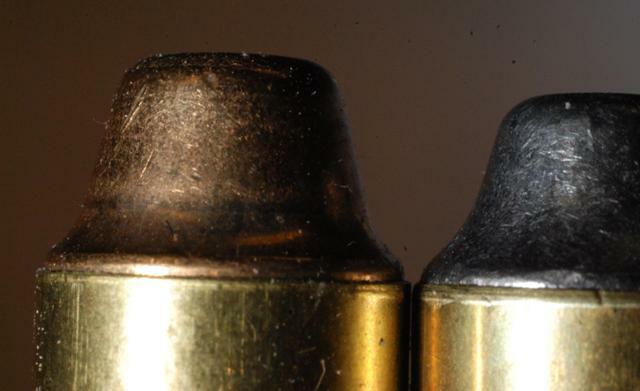 Lead bullets have a groove that is cast into the bullet. Good example of roll crimp in previous post. The crimp that you are referring to is a taper crimp which is typically used on 45acp, 9mm, 32ac, and other rimless cartridges. It is made with a die that has a slightly tapered section in the correct position to squeeze the end of the case against the straight side of the bullet to grip it and keep it in position until it is fired. You can measure it with a caliper or micrometer. It is measured at the very end of the case where the taper in the die pushes the case against the bullet. You need to be careful to measure right at the end of the case not more than .020" from the case end. There are probably as many opinions about how important crimping is as there are re-loaders so I will not go into that. federal gold medal match 185 on left, magnus on right. example of factory crimp on left.